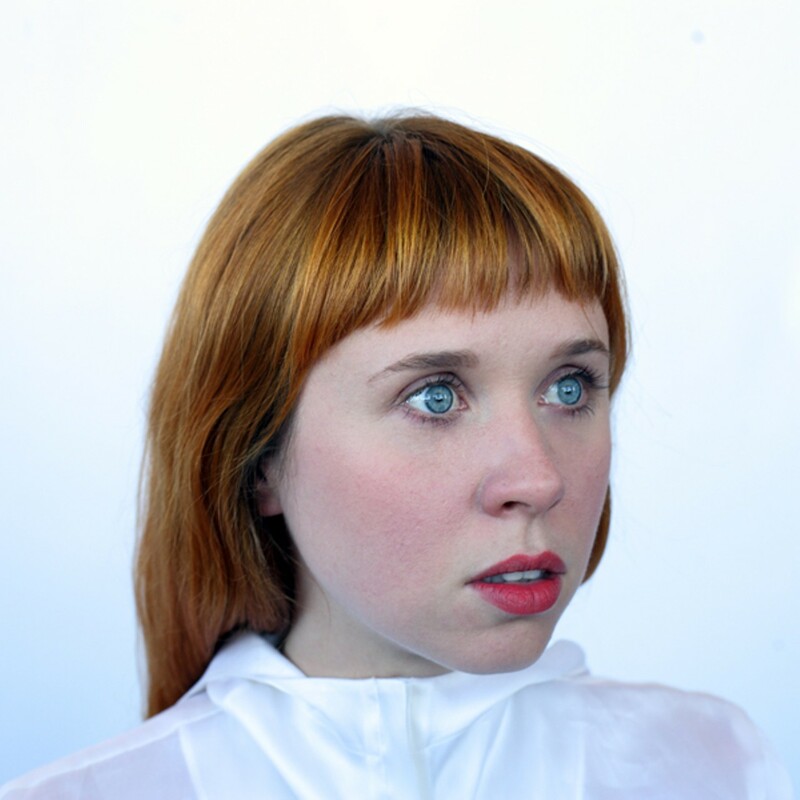 An electronic music Ph.D candidate who has also earned the praise of NPR and Pitchfork, Holly Herndon is bridging the gap between academia and the club scene. Holly Herndon pairs dense structures to a 4/4 beat. Stanford University's Center for Computer Research in Music and Acoustics (CCRMA) is like a toy store for electronic musicians: Students hunched over worktables build custom instruments, and cutting-edge music equipment fills every room, begging to be used in new and innovative ways. It's where Holly Herndon, who earned her MFA in electronic music from Mills College, is currently working toward a Ph.D in the same field. The music she and her colleagues produce there is boundary-pushing, ultra-technical, and unconcerned with reaching a broader audience. However, unlike many of her predecessors at CCRMA (pronounced "karma"), Herndon is leading a bit of a double life. While she spends her days studying the finer points of frequency modulation synthesis and electronic music theory, she spends many nights spinning her own brand of avant-garde electronic dance music at venues both near and far. Herndon has performed at clubs in Berlin and San Francisco, and was gearing up for a CCRMA performance at Stanford's Bing Concert Hall when I talked to her. "I think it's something new," Herndon said of the academia-club intersection. She recalled a conversation with a fellow electronic musician, who compared the more-relaxed culture at CCRMA to what he experienced at the school in the early Aughts: "[He said,] 'I was at CCRMA ten years ago and they were so anti-beats,'" she paraphrased. But these days, she continued, "I don't get that vibe here at all, so something's changed." Case in point: Herndon's debut full-length album, Movement, released late last year, which has a number of tracks featuring what might be called "beats" — rhythms expressed in the meter of 4/4, the most common beat structure found in today's dance music. Although it garnered praise from NPR, SPIN, and Pitchfork, Movement is hardly "mainstream": Its heady and dense structures weave heavily modulated, abstract vocal snapshots with industrial beats and snippets of modern noise, such as TV static and other field recordings. Herndon said that while the album has been well received by her colleagues and professors at CCRMA, Stanford's Department of Music (which houses all music-related graduate programs) takes a more conservative view of academic composition and its intended audience. She said few Ph.D candidates outside CCRMA would ever attempt to produce music for broader consumption, as she did. "I don't think they're interested in necessarily breaking outside of that world, or dipping down into what they would consider lower culture," Herndon said. "I've heard some people say that a 4/4 beat is just not an interesting use of rhythm — it's non-developmental, and that's a negative thing. And that's just ludicrous." Luckily, Herndon is not completely alone in her pursuit. Robert Henke, a CCRMA artist-in-residence and professor of electronic music, is well known for performing at clubs under his stage name, Monolake. Henke's academic portfolio is filled with pieces that could hardly be called accessible. Take "Stanford Dust," for example: Herndon described it as a collection of field recordings "treated in various ways, including filtering, layering and granular synthesis, to create a large pool of complex evolving textures." But as Monolake, he records up-tempo, spacey techno tracks, and is a regular on the rave circuit in his native Berlin, according to Herndon. The mixing of the academic world and the club scene has been going on in Europe for some time, Herndon said. She nodded to producers such as Carston Nikolai and Mika Vainio, who keep turntables in both worlds — performing at high-art institutions and massive dance parties. The rise in popularity of electronic dance music in the United States is likely playing a role in spurring communication between the two realms in this country, she added. And if communication is increasing between academic and popular electronic music, that is a good thing, Herndon said, as both worlds can stand to learn things from each other. For the club scene, the new technology and techniques developed at places like CCRMA keep producers and DJs innovative. On the flip side, Herndon said, the academic knob-twiddlers could learn a thing or two from the mainstream. Academic musicians put a lot of work into their art and take much longer on average to finish a project, she said. "In academia you aren't necessarily creating work for an audience — you might do so, but your livelihood doesn't depend on it," Herndon wrote in a follow-up email. "This can sometimes create really interesting experimentation, and sometimes can cause such a disregard for audience all together that the music can lose some of its function (and) meaning." Academia "needs the rest of the world to come up with what should be cutting edge new ideas — if it is separated from the world, how can that possibly happen?" Herndon is convinced that continuing that conversation will only bring positive things for the art form in years to come: "There's so much natural crossover between club music and music technology," she said. And in her view, the more open that exchange is, the better the music will be for everyone involved. Oakland's Ricky Reed has gone from playing house parties to being signed to a major label — and his party anthems have evolved with it.